Living… in Mitakihana Town, where she's recently moved. Since she keeps to herself, Homura's classmates don't know much about her family life – whether she has siblings, who she lives with, or whether her parents are even alive. Profession… student and magical girl. During the day, Homura is a diligent student at Mitakihana Middle School. But at night, she transforms into a Puella Magi and fights the corrupting influence of Witches. However, while Homura does her job as a magical girl without complaint, she's not keen on others joining her cause. When the cat-like Kyubey offers fellow classmate Madoka Kaname the chance to become a Puella Magi, Homura responds by trying to shoot him. Interests… protecting Madoka. Though they've only known each other for a few weeks, Homura is fiercely protective of kind, idealistic Madoka. Whether it means battling Witches, chasing away other Puella Magi, or callously shooting Kyubey, Homura will do whatever it takes to keep Madoka safe. Relationship Status… single. For all her beauty, Homura shows no interest in boys. Or really, anyone at all – except, of course, for Madoka. Challenge… preventing Madoka from accepting Kyubey's contract. She doesn't know all the details, but Homura is certain that Kyubey has ulterior motives for wanting Madoka to become a magical girl. 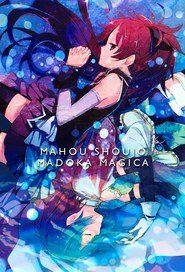 Dark forces are afoot, and Homura's determined to prevent Madoka from falling into the wrong hands: "I promise," she tells Madoka, "I'll definitely save you." Personality… stoic, distant, and independent. To most of her classmates, Homura is an alluring enigma. Beautiful and intelligent, she could be the most popular girl in school if she wanted to. Homura, however, doesn't want that at all. Whether as a student or as a Puella Magi, she prefers to work by herself. Deeply cynical, Homura is firm in her belief that, "kindness can sometimes lead to even greater tragedies." It's a philosophy that seems to only apply to others, though, as Homura can be extraordinarily selfless when it comes to protecting her loved ones. Homura Akemi's popularity ranking on CharacTour is #383 out of 5,000+ characters. See our top-ranked characters and read their profiles. Madoka Kaname leads a happy life with her family and friends whilst attending Mitakihara School. One day, a magical creature called Kyuubey implores Madoka for help and from then on, she is drawn into a parallel world where magical girls battle against witches.